Brian McManus, Class of 2017, passed away on Tuesday, May 15, 2018, surrounded by loved ones after a courageous battle with Leukemia. On his mass card is a verse from the Bible: “I have fought the good fight. I have finished the race. I have kept the faith.” From every interaction I have had with Brian, each of these short sentences truly reflects his personality and his character from a different perspective, yet comes together perfectly to help us fully understand who Brian was. In every activity Brian participated in, he put his entire heart into making himself the strongest he could possibly be. He had a resilient mental drive, academically and athletically. 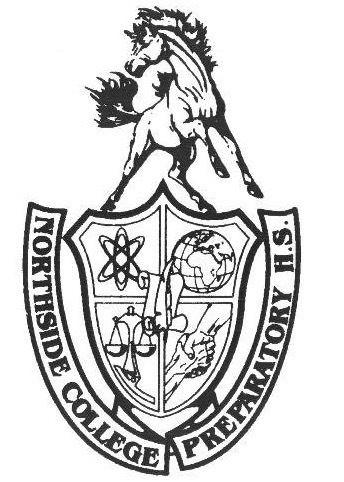 Though he may have been known though the school as a successful cross-country and track runner, he also was heavily involved in the senior leaders program, the Latin club, the table tennis club, and was a strong member of the community at Northside. He loved to reach any kind of success, whether it was competing in a meet or playing games in the gym during Y-block. The only thing he enjoyed more than his own success was the success of his team. Brian pushed others to be the best they could be so that he could also be the best version of himself. In his greatest fight, Brian faced a courageous battle against Leukemia. Those who surrounded him while he was sick knew that Brian had put up the ultimate fight. Brian was a fantastic runner. As a freshman, he made an immediate impression on both the cross-country and track teams and ran with incredible times for his age. As he grew into a leader in the program, he became a captain for both his junior and senior year. Brian had the mentality of the strongest runners and the heart comparable to that of a professional athlete. His teammates described him as the light of the team, leaving a mark on each player and coach. As senior Sara McCoy, Adv. 807, prepared to run her final race as a Mustang at the track and field state championship, she told the HoofBeat, “He’s going to run with me at state.” McCoy and Pasek are just two of the many athletes on whom Brian will leave a lasting impression. Many of Brian’s teammates and close friends remember him reading books on mental toughness in order to become an even stronger runner. One of the key aspects to being a strong runner is having faith in yourself and your team. The mentally tough runner learns to trust that the body will know what to do when it is race time. The runner must trust in his training, his plan, his coaches, and his teammates. Brian, in the most humble way, knew what he and his teammates were capable of achieving and always believed, with an abiding faith, in his abilities. His teammates remember his beaming smile once he finally ran the mile in under five minutes, which had always been his personal goal. Inside or outside of the classroom, the mark that Brian left on each student will remain with us forever. We could talk for hours about his accomplishments at Northside, but perhaps his greatest accomplishment while he was with us was being a friend to everyone. The first time I ever talked to Brian, he had immediately started a conversation that made me realize how similar we were to each other. He had this amazing ability to communicate with anyone, find a similar interest, and make you feel as if you have known him for years. I, along with all Northside students, miss his presence at Northside and will miss a role model. The McManus family and Brian’s close friends will run a 5K race in memory of Brian, and invite Northsiders to join. The family has decided to run the South Haven Michigan Blueberry Festival 5k Run/Walk on August 11th. The link to sign up is below.